← What remains when disbelief has gone? 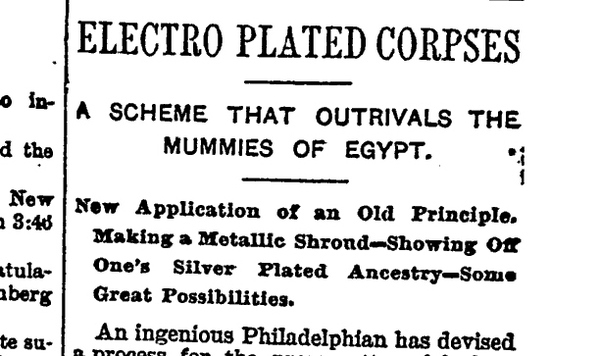 Electro-plating the embalmed. Could you put them into a rail gun and shoot the ferro-magnetically plated corpses of your fallen enemies into the walled cities of those you were besieging, to horrify them and break their will? And just because you can (could), does that mean you should? Who wants wax when you can have something shiny?